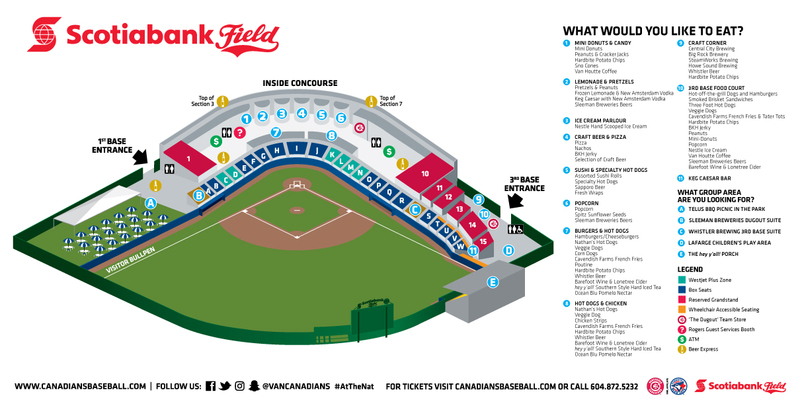 (Scotiabank Field at Nat Bailey Stadium - Vancouver, B.C.) - Ladner, B.C. native RHP Tom Robson was dominant over his 5 1/3 innings of work while Northwest League MVP L.B. Dantzler smacked a two-run double in the bottom of the 3rd inning to help the Vancouver Canadians to a third consecutive NWL championship on Monday night. Vancouver's sold out crowd was electric right from the game's first pitch and saw Canadians RHP Tom Robson dominate over his 6 1/3 innings of work. Robson limited the Hawks to just three hits and did not issue so much as a walk before turning the ball over to the bullpen where LHP Alonzo Gonzalez (1.2IP) and RHP Chuck Ghysels (1.0IP) kept Boise off the scoreboard. Offensively, the Canadians grabbed a pair of runs in the bottom of the 3rd inning when 1B L.B. Dantzler doubled to center field off of Boise starter RHP Mike Wagner who went 3 1/3 innings allowing a pair of runs. Dantzler's double scored both 2B Andy Fermin and DH Mitch Nay to give Vancouver an early lead. The Canadians would tack on three runs in the bottom of the 8th inning to put the game out of reach with second year Vancouver outfielder Ian Parmley delivering the knockout blow, a two run single that scored both C Michael Reeves and 3B Justin Atkinson extending the lead to 5-0 which would be the final. With the victory, Vancouver becomes the first team since the 1993-1995 Boise Hawks to win three straight Northwest League Championships and win three straight for the first time in franchise history. The Canadians players and coaches now depart first thing Tuesday morning to return home for the off-season. The Vancouver Canadians Baseball Club finishes the overall season 4-1 (.800) in the NWL post-season along with a 39-37 (.513) record in the regular season.